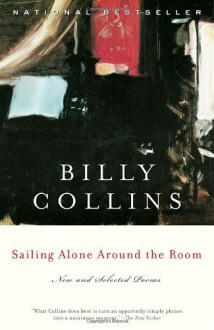 Sailing Alone Around the Room, by America’s Poet Laureate, Billy Collins, contains both new poems and a generous gathering from his earlier collections The Apple That Astonished Paris, Questions About Angels, The Art of Drowning, and Picnic, Lightning. These poems show Collins at his best, performing the kinds of distinctive poetic maneuvers that have delighted and fascinated so many readers. They may begin in curiosity and end in grief; they may start with irony and end with lyric transformation; they may, and often do, begin with the everyday and end in the infinite. Possessed of a unique voice that is at once plain and melodic, Billy Collins has managed to enrich American poetry while greatly widening the circle of its audience.